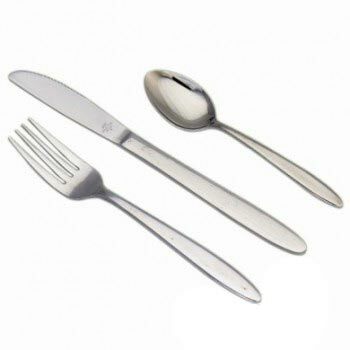 A timeless classic, the Viceroy flatware pattern is a perfect fit for today’s fast paced foodservice world. Its contemporary design with a subtly contoured handle is tailored to bring simple elegance to the tabletop. 18% chrome stainless steel provides polished presentation, durability and value.